GM Werle and IM Andersen share the lead with 3.5/4. A group of Hungarian players are in hot pursuit. 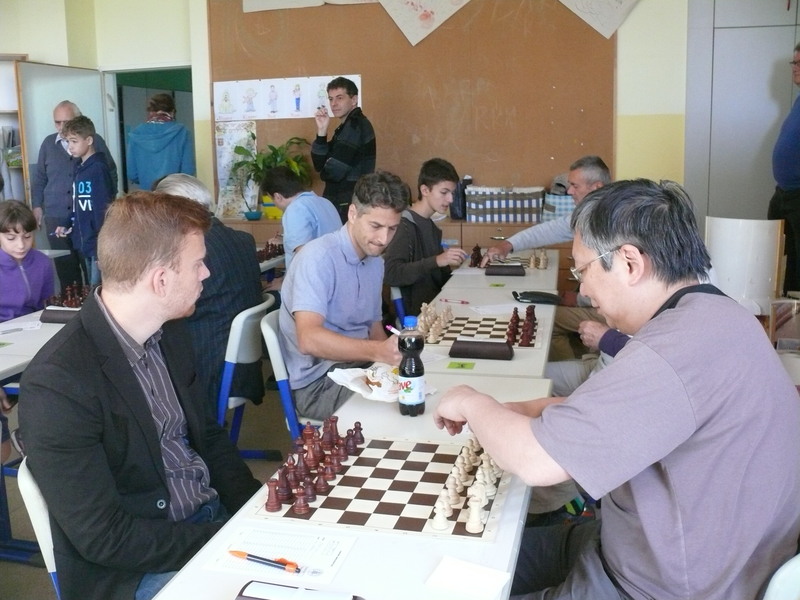 The 2013 Hungarian Womens’ Champion won against GM Romanov(2647) for a nice scalp. Both MYK teams had to play each other before the other rounds started avoid later possible collusion. Team Captain Attila Balla got some nice pictures-Thanks! Follow the MTK Club Facebook. The top two boards were decisive. I faced the aggressive Benoni but got nothing from the opening. I tried for the win with an exchange sacrifice for enough compensation earlier and the game arrived at this tense position. I played for the logical 37.Rxb7 winning a pawn, making a threat and establishing a rook on the 7th rank. However, this was a losing mistake and Black had a winning attack after 37..Rg8! I made what I thought was a forcing move. The queen attacks f7 and clears the way for the d-pawn to advance. The Bg3 was sufficiently protected so I was pretty happy. Black then found a nice move 45..Rf4+!! (diagram) and now it’s game over. I played 46.Ke2 but on 46..Re6+ 0-1 and it was time to go home. 5 IMs could not stop Kozak Adam from taking clear first with 7.5/11. Kozak will break 2300 on the next rating list. 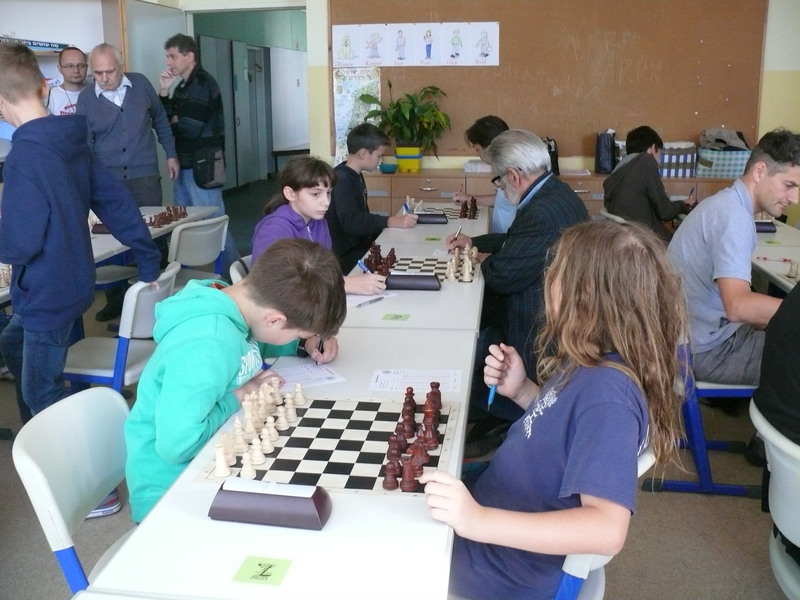 Promising junior, FM Krstulovic, Alex(HUN,age 10) took clear second and will gain 45 elo points to break 2100 on the next rating list. 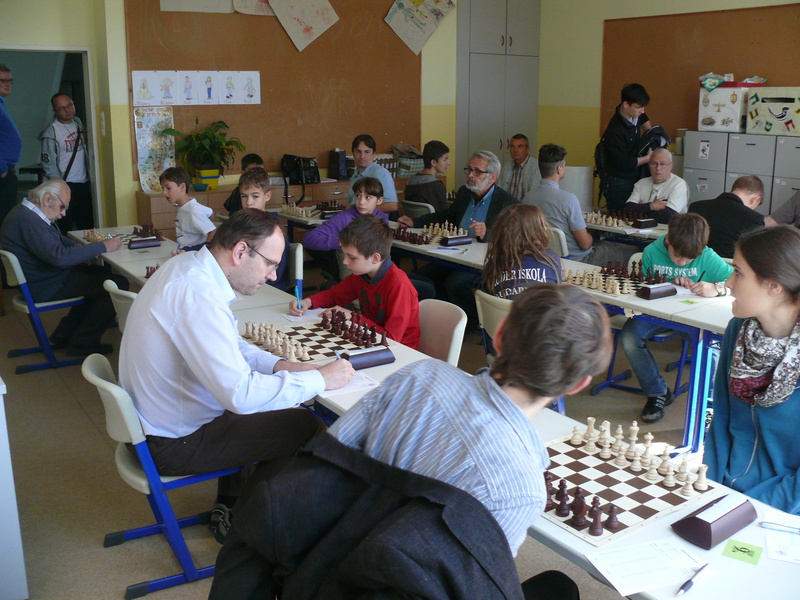 FM Krstulovic, Alex(Age 10) is in clear first with 4.5/5. Go Alex!! The MTK club had its first meeting last month. There was a lecture, team meeting and a blitz tournament. 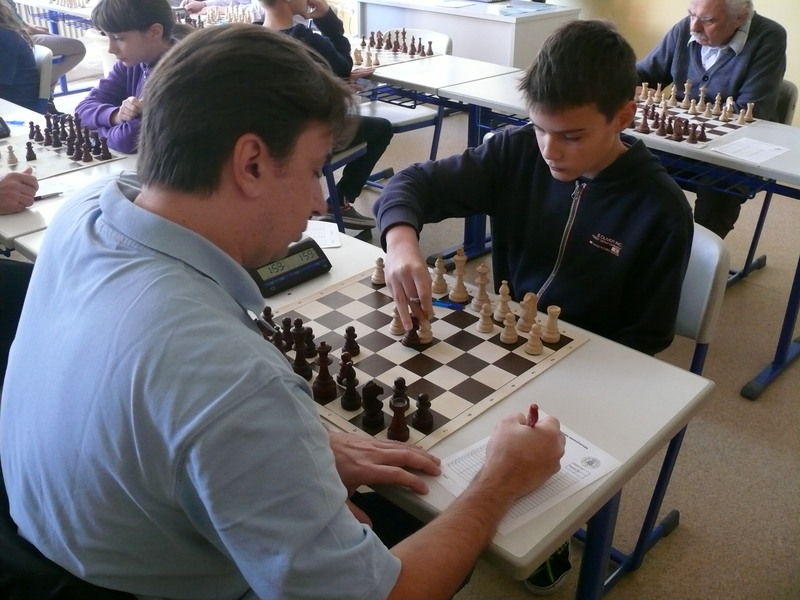 GM Kallai gave lecture on the history of the MTK club and Hungarian chess with a few interesting chess positions too to challenge the eager listeners. Thanks to team captain Balla,Atilla for the pictures. Halak, Miklos took clear first with 5.5/6. Unrated Alkire, Brian(USA) did very well to finish with 4/6.